There is seemingly a countless number of online store-fronts and e-commerce platforms spread across the internet. This is arguably the result of one of the biggest and most powerful trends of the last half century: globalized trade and commerce. Within every niche, you’ll find multiple stores online waiting to serve every need and desire imaginable. Despite the explosion in internet shopping and e-commerce, those who run online store-fronts face a variety of problems. Whether you’re planning on opening an online store or already have one running, there’s a good chance you’ll be facing some issues as time passes. Which problems are most common? Let’s take a look at some of the issues you’ll want to be prepared for starting today. Undoubtedly one of the most common problems e-commerce websites – and arguably all websites – face, slow loading times can wreak havoc on sales, conversions and overall user satisfaction. With so many potential shopping choices online for consumers to consider, a slow website can quickly leave a bad first impression and send shoppers elsewhere to find what they need. Thankfully, there are many solutions to ensure you’re pinging to Google (and other search engines) website pages that will load quickly for each visitor. Through solutions such as image optimization, mobile responsive design and a solid selection for your hosting provider, page speed can be dramatically increased. 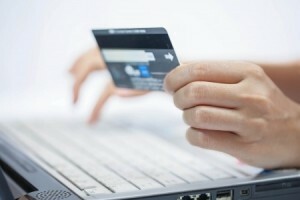 When it comes to e-commerce challenges, the competition factor cannot be overstated. Most online stores find it difficult to raise in the ranks of search, even more difficult to stay there and downright impossible to scoop up most of the traffic that comes their way. It can feel pointless at times to operate an e-commerce website when only a small percentage of traffic is actually buying anything. Boosting conversion rates is absolutely essential for long-term success. There are a variety of strategies that involve simple tweaks, which can help increase conversions by a meaningful amount. The good news is that most of these strategies require minimal time and no additional money. Building a successful, passive flow of traffic to any online store-front is a dream for most businesses. Unfortunately, this doesn’t always happen – and when it does, it is often funneled through one source of traffic. Stores that enjoy the overwhelming share of their traffic through one source – whether it be search engines, social media or another avenue – are more vulnerable to abrupt shifts in how they’re ranked in search results or how their competition performs in relation to them. As such, pursuing a strategy where traffic pours in through multiple channels should be a long-term goal. Whether you’re pinging to Google your collection of designer shoes or offering web design services via social media ads, building an online store-front is easier said than done. Once online, you’ll face a variety of problems and struggles unique to e-commerce platforms. These three issues are among the most common problems experienced, but there are many others you’ll have to contend with as well. Let us know below what other problems you have experienced if you run an online store, and whether or not you’ve successfully resolved them.